You have probably received your new large wheelie bin for recycling and may have wondered how you’re going to manage it to the end of your driveway? 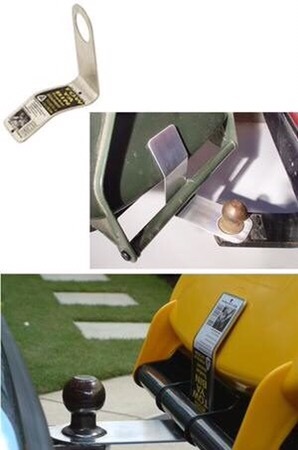 There are some tow hitches available which go over the top of your towball and support your bin while holding the lid closed. This should be suitable for an average driveway at speeds of 10 km/h or less. I’ve managed to get a bulk deal organised for us and can sell these for $15 each, collected from Martin Access Rd. Order your Wheelie-bin tow-hitch now.